Heath Robinson (1872-1944) is fondly regarded for his mischievous, gently comic illustrations that have been enjoyed for generations. For the first time the advertising work of this incredibly versatile artist takes centre stage in this meticulously researched and highly-illustrated book. The name Heath Robinson immediately conjures images of overly-complicated contraptions, often held together with string and precarious in their construction. For a diverse range of clients, Robinson's inventiveness, humour, artistic skill and professionalism made him the obvious choice to advertise their products, which ranged from asbestos cement roofing to bread. Exploring the myriad companies which engaged Robinson's services, this book underlines the artist's significant contribution to Britain's cultural life. 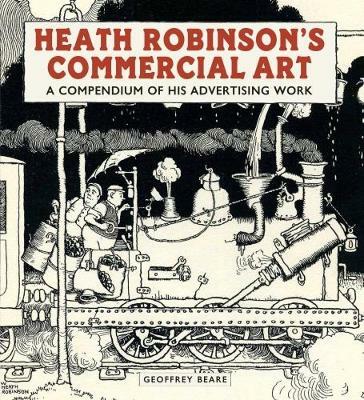 Including a full bibliography of Robinson's advertising clients and the work he undertook for them, this definitive account of Heath Robinson's commercial work will be unrivalled for many years to come.